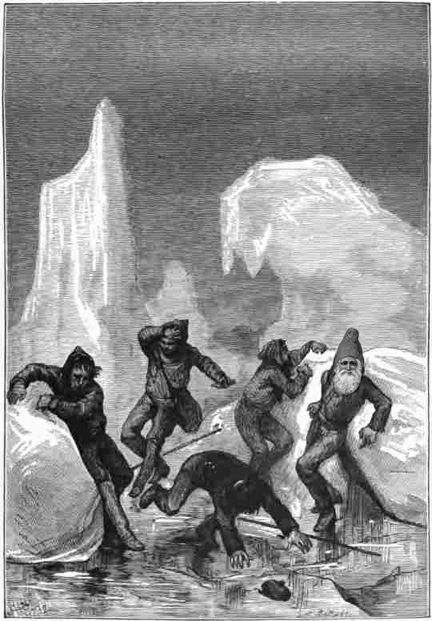 On Friday, February 8th, the 191st birthday of Jules Verne, as Davinius ginzu groomed the trail to Alturas Lake, his thoughts drifted back to long past adventures from “A Winter Amid the Ice”. As Jules described it, as they spent the night on their furs in an icy wasteland around the 76th degree of latitude in Eastern Greenland, an ice-quake suddenly struck. “The movement lasted nearly two minutes, and it was to be feared that the crevice would yawn at the very feet of the unhappy sailors. They anxiously awaited daylight in the midst of continuous shocks, for they could not, without risk of death, move a step, and had to remain stretched out at full length to avoid being engulfed.” Compared to that night, grooming ski trails seemed like a tame walk in the park. At Alturas, with their snowmobile repaired and running well, Davinius and Chad easily groomed all trails for skating. Classic tracks were laid down on South Loop, Over the Hill and the Trail to the Lake. At Park Creek, with that area’s snow machine suddenly sidelined with a broken axle, Adam headed out with good intentions and a back up machine to touch things up there. His story has not yet been told. In any case, old memories, untold tales and new trails are predicted to fade away quickly as heavy snow is expected to fall this weekend.